This weekend, representatives from all the major toy companies are in New York showing all of their new products to members of the media and wholesale buyers. Fortunately for those of us not at the Javits Center, most of the cool stuff can be seen on the internet too. Today was Hasbro’s big presentation of their 2015 toy lines. The Star Wars portion was pretty disappointing – with a lot of the effort this year presumably being focused on The Force Awakes, there were no new action figure announcements. We did get images of a few figures from the 6-inch scale Black Series line that I hadn’t seen before, but I couldn’t tell you if they’re new or if I just hadn’t been paying enough attention. I can tell you that I’m going to need to get Princess Leia in her Boushh disguise, that I have no need for IG-88 and that Commander Cody and Emperor Palpatine are going to have to hope that I have extra money when (if) they make it to my local store shelves. I’m pretty sure I can pass up the Wampa and Hoth Luke, too – at $20 per figure (and more for the deluxe ones), you really do have to pick and choose. With a new Avengers movie due out this summer, the Marvel Legends part of the presentation was much more exciting. The Hulkbuster Iron Man Build-A-Figure with Avengers Wave 3 pretty much stole the show, but unless I feel like buying a case and dumping the loose figures I don’t want on eBay (pretty much all of them except maybe Doctor Strange), I won’t be adding him to my collection. Movie-style Ultron is also going to be a Build-A-Figure with the Ant-Man wave… only difference here is that I might be interested in a few more of the figures in the case. The items I’m most excited about (and hope to actually get) are a pair of exclusives – Amazon is getting a box set with movie Thor, Black Widow, Hawkeye, and Bruce Banner, while Toys ‘R’ Us is getting an Agents of Shield one with Phil Coulson, Nick Fury and Maria Hill. With the exception of a couple of Guardians of the Galaxy figures, I’ve largely resisted the urge to collect Funko’s Pop! vinyl line. But they’ve got the license for Harry Potter (and the figures Funko showed at Toy Fair all look great) and Doctor Who. I think Funko Pops will be better represented on my shelves by the end of the year. And for Agents of Shield fans, guess who’s finally getting immortalized in plastic? I didn’t see any new Game of Thrones figures from Funko’s Legacy line (which is good, because I’ve only gotten Arya from the second wave that they released last fall.) 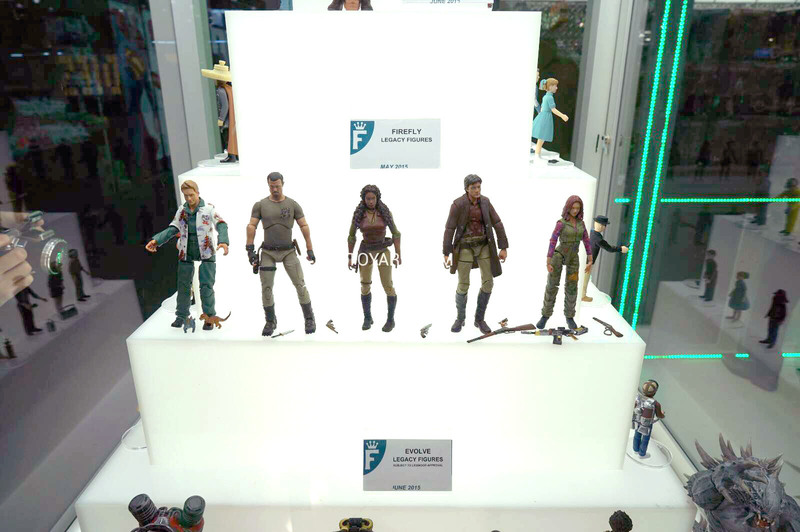 But they did show off their new Firefly figures, and they look shiny. While I like them, I’m going to have to pass… I can’t get everything. Funko also showed off two waves of their Star Trek ReAction figures, and I think this is a perfect property for this line. I’m a little too young for the Mego Star Trek toys have nostalgia appeal to me, but these guys are perfect for me to get and pretend that they really did come out in the late 1970s. I just hope that we get a Chekov somewhere along the way. 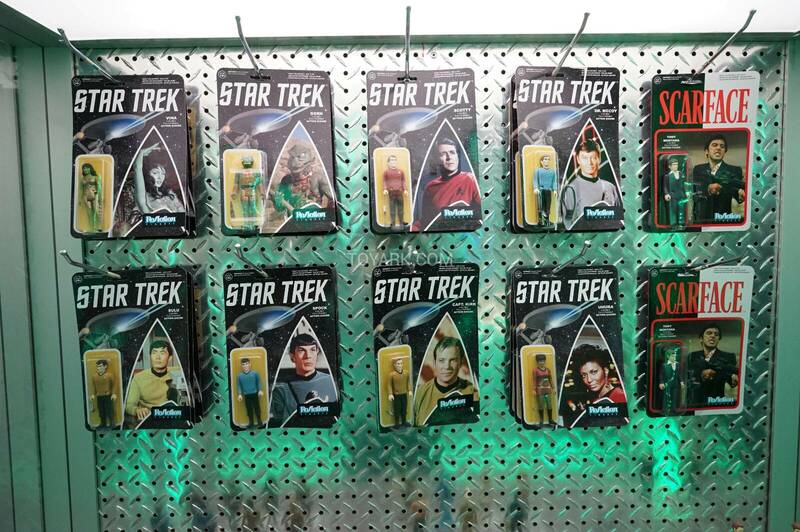 What Toy Fair items are you looking forward to?